From the Ukrainian casual gaming studio, Deep Shadows, comes a brand new series for all to enjoy! Medium Detective: Fright from the Past Collector's Edition is going to kick off the new year on the right foot. If you have had previous exposure to other series from Deep Shadows, such as Xenus, The Exorcist, Haunted Train, or Tales of Terror, then you know that you can walk into Medium Detective with high standards. If not, then this first episode is a great place to start! If you like mysteries, then you will find an extra bundle of joy in the Collector's Edition. Nothing cries "Eastern Europe creativity" like a game that integrates folk tales into the adventure. You will be playing the role of Claire, a detective who has the ability to see into the past. You will use this mystical power to solve the spooky series of slayings that seem to be linked to some old folk tales. Can you get to the bottom of it all before it's too late? Whoever... or WHATever this being is, it sure is dangerous. 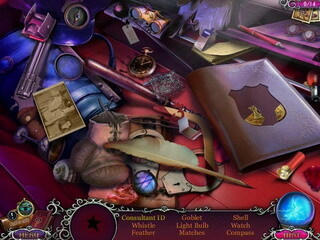 Medium Detective: Fright from the Past Collector's Edition will push you to the limits as you go through the Hidden Object Puzzle Adventure game in a quest that combines the classic whodunnit mystery with the haunted and eerie. But you'd better hurry before you become the next victim. The ambiance of this game is really something else. It is set in the rolling hills of Europe and the scenes and puzzles often have a purpleish or even pink hue to them, giving it a passionate creepy feel. The music is especially haunted. Excellent feel for an excellent game. If you like mysteries, then you will find an extra bundle of joy in the Collector's Edition. In it, you will find the typically standard Strategy Guide that has been integrated for your service - but you should try playing without it for an extra challenge. There are some thrilling collectibles that add a special element to the game. 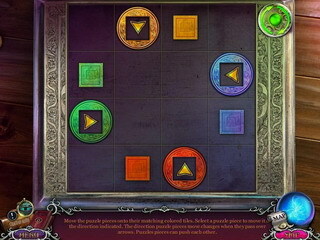 The Collector's Edition even has a special bonus game that you can play to uncover another mystery. Much fun! There is a certain appeal to this Medium Detective: Fright from the Past Collector's Edition that may be touching on uncharted territory. There are achievements to earn, morphing and collectible items to find, a strategy guide, a bonus chapter, and media extras. Check out Medium Detective: Fright from the Past Collector's Edition for yourself! 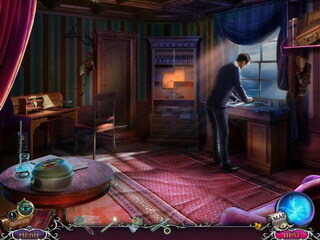 This is Medium Detective: Fright from the Past review. Download this game here.